If you haven't made this delightful appetizer, it's about time you start. 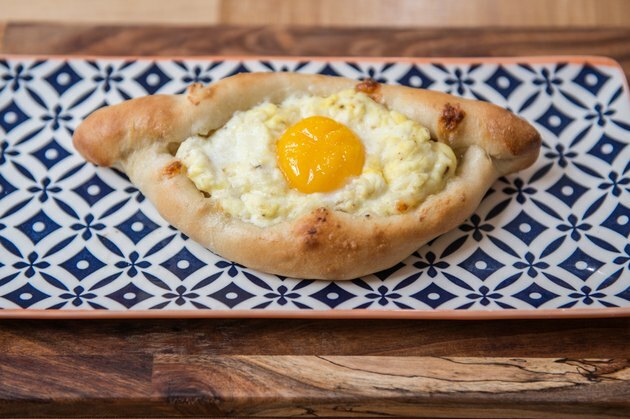 Khachapuri, (pronounced kaw-cha-pour-EE) is filled with cheese, butter and a glorious egg yolk — making it just about as delicious as possible. 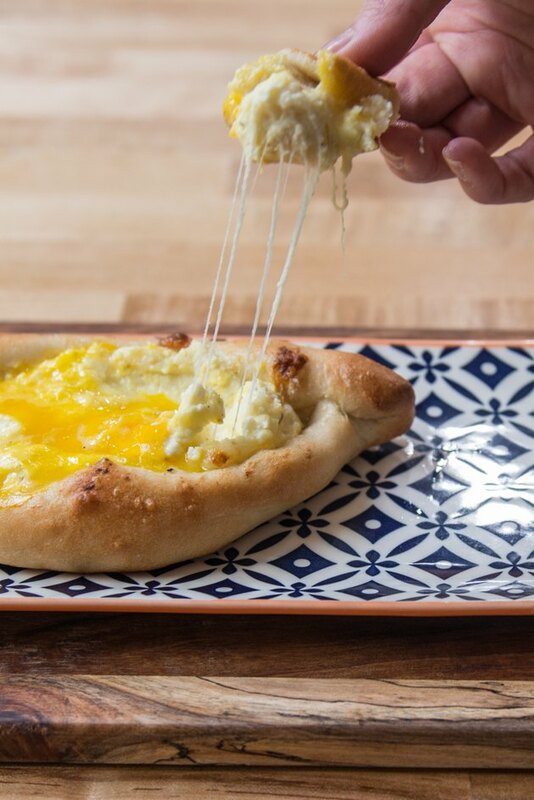 To eat it, you just grab a bit of the dough and dip into the molten cheese. There is no way not to love it! Add pizza stone or large baking sheet to the oven. Preheat to 450°F. 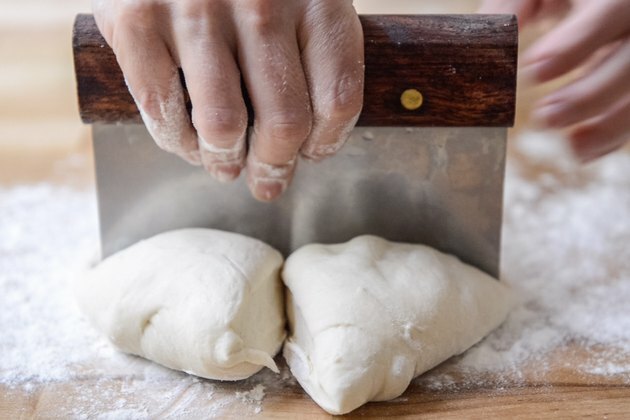 On a lightly floured surface, cut the dough into 4 equal sized pieces (alternately, you can make two larger portions of cheese bread rather than 4 smaller portions). 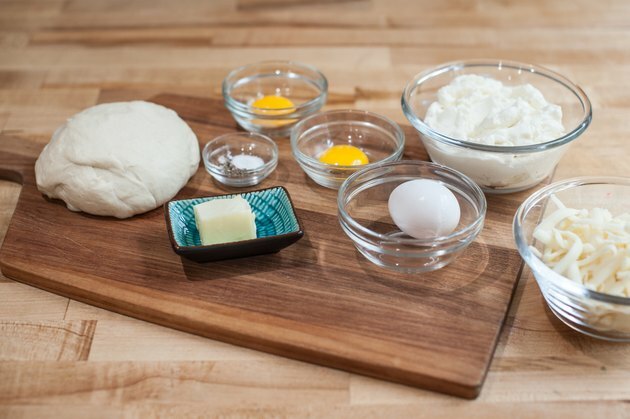 One at a time, roll the dough balls into long, thin ovals. 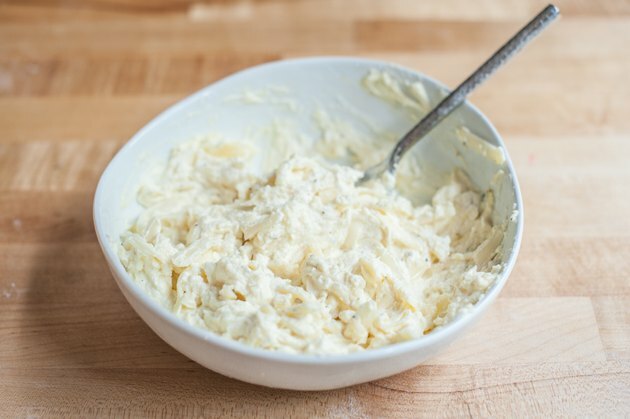 Stir together the ricotta, mozzarella (or feta), whole egg, salt and pepper. 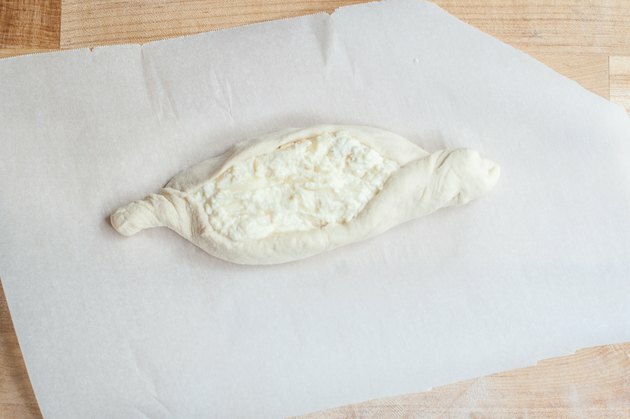 Add the dough ovals to a sheet of parchment paper, then add the filling to the center of each dough oval. Form into boats around the filling, twisting and pinching the edges. Transfer the boats (along with the parchment paper) to a preheated pizza stone or baking sheet. Bake at 450°F for ten minutes or until the dough just starts to brown. Brush the edges with melted butter. Add a yolk and a pat of butter to the center of each boat. Bake again for two minutes. 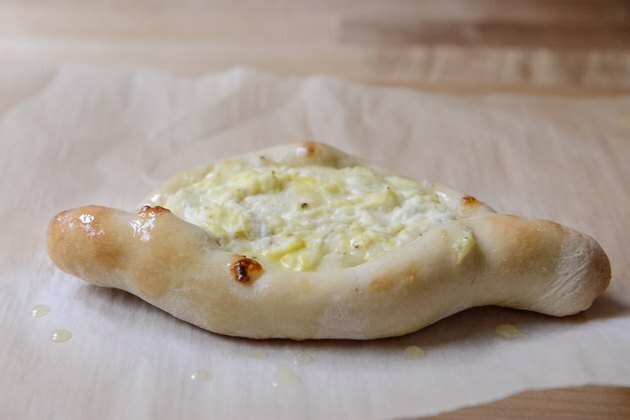 Use the crust to dip into the cheese and eat. Enjoy!